HIGH SCHOOL GRADUATE, CDA, CONTINUING EDUCATION IN EARLY CHILDHOOD/ELEMENTARY EDUCATION. HOBBIES/SPECIAL INTERESTS: I LOVE SPENDING TIME WITH MY FAMILY, FRIENDS & AND ANYTHING TO DO WITH SPENDING TIME ON THE WATER. I ALSO LOVE WATCHING MY CHILDREN PARTICIAPTE IN SPORTS. I'M MARRIED, HAVE A SON, DAUGHTER AND A GRANDSON WHOM I ADORE! I OWNED MY OUR DAY CARE FOR 13 YEARS. 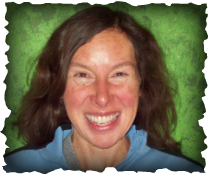 I HAVE WORKED IN EARLY CHILDHOOD EDUCATION FOR 15+ YEARS. CONTINUING EDUCATION IN EARLY CHILDHOOD DEVELOPMENT. HIGH SCHOOL GRADUATE, , CDA, CONTINUING EDUCATION IN EARLY CHILDHOOD DEVELOPMENT. I LOVE SPENDING TIME WITH MY FAMILY!!! HIGH SCHOOL GRADUATE, CDA. 2 YEARS @ NMC AND LOOKING FORWARD TO RETURNING TO PURSUE A DEGREEE IN EARLY CHILDHOOD EDUCATION. 13 YEARS AT CENTRAL CHURCH AND 5 YEARS IN EARLY CHILDHOOD DEVELOPMENT. HAS WORKED FOR CDCC COLLECTIVELY FOR 7 + YEARS. CONTINUING EDUCATION IN EARLY CHILDHOOD DEVELOPMENT, WORKING TOWARDS MY CDA. I HAVE WORKED IN EARLY CHILDHOOD DEVELOPMENT FOR 12+ YEARS . SPENDING TIME WITH MY SONS, RED WINGS HOCKEY, ROLLERBLADING, MOVIES AND BONFIRES. 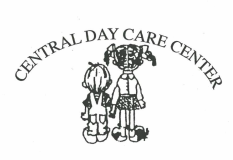 BEFORE CDCC I WORKED AT A CHILDREN’S CENTER IN WEST BLOOMFIELD, MI. MY HUSBAND AND I OWN A SMALL “HOBBY” CHOCOLATE BUSINESS IN TRAVERSE CITY CALLED “FORREST CONFECTIONS” MAKING CHOCOLATES FOR SPECIAL OCCASIONS. I'M ALSO A PHOTOGRAPHER~ESPECIALLY NATURE. HIKING WITH OUR DOGS.